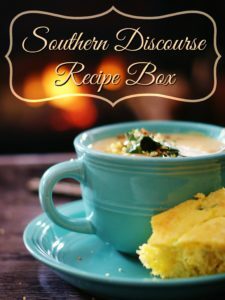 I can’t wait for you to have the deliciously warm winter edition of A Southern Discourse Recipe Box! 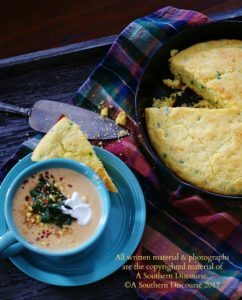 In this edition, you will find 5 of A Southern Discourse’s most requested soup and one pot recipes to keep you warm and cozy even on winter’s coldest and gloomiest days. And because I know you don’t have all the time in the world to stand around in the kitchen, each of these Southern Discourse home-style recipes has been finely tuned so that it is efficient and easy to fit into your busy schedule. There is nothing better than being able to enjoy real food with family and friends with less time preparing! 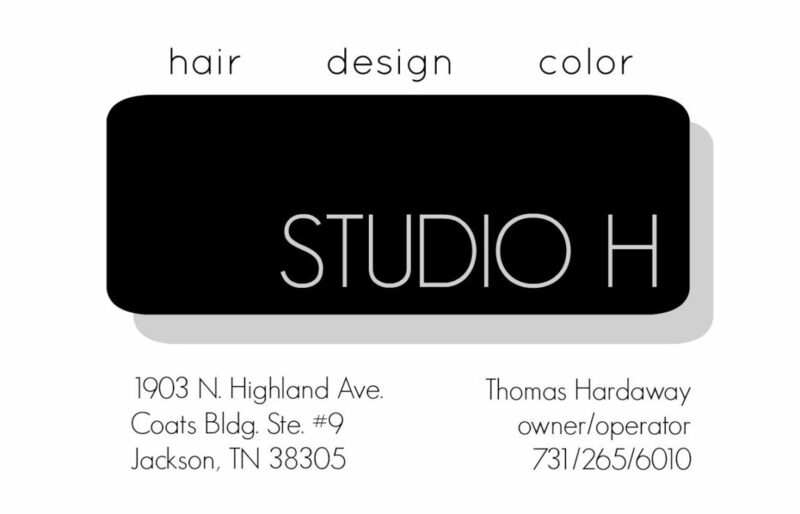 This is just my way of saying thank you for stopping by and spending time here at ASD. 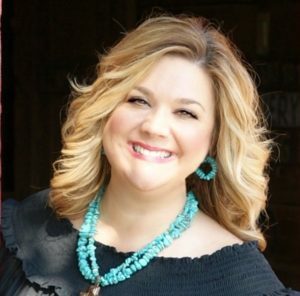 With so many choices in the blog world, my hope is that at A Southern Discourse you will find a place where you feel at home, where the conversations are personable and relatable to where you really are in this thing called life, a place where you are encouraged and know you belong. So, welcome to the first of our many conversations together—the kind that can only happen on a porch, in a swing, between great friends. 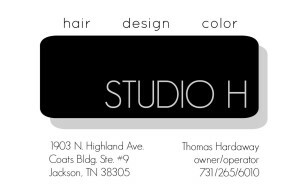 This Offer Includes Current Subscribers Too! Everyone needs a thank you every now and then, don’t you think! I sure do! And since A Southern Discourse readers are some of the best around, I want to extend this offer to you just as a thank you for reading and supporting A Southern Discourse all these years. 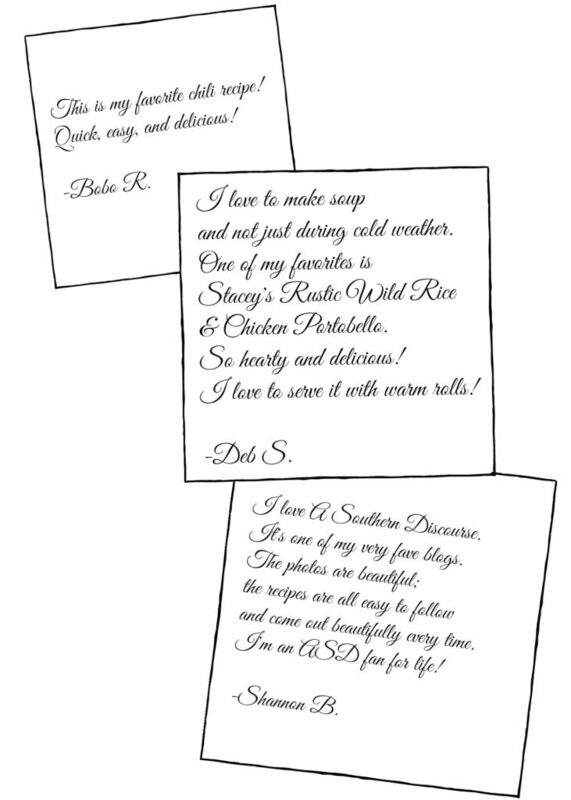 If you already subscribe to A Southern Discourse, but would still like to receive the winter edition of A Southern Discourse, full of warm and filling recipes sure to keep you toasty during winter’s icy weather, then just click the bar below and fill in the form with “I’m a subscriber! 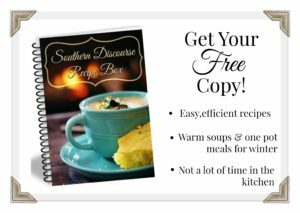 Send me the new edition of A Southern Discourse Recipe Box,” and I will get your copy right out to you!